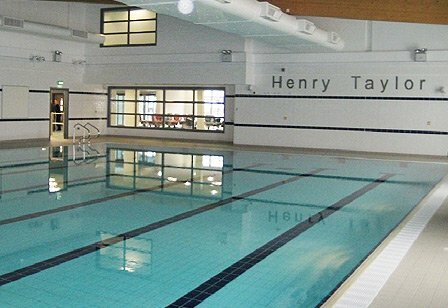 Community 1st Oldham (C1O) has always aspired to provide high quality environments for partners, staff and the community. The use of arts in community and health buildings can contribute to this aspiration. There has been significant research indicating the benefits of well thought out design and environments and the use of community engagement with an art outcome in this context clearly supports the development of a high quality environment. Creative application of the arts can help to shape a more inspiring vision for the buildings in which community services are delivered, and so make a positive contribution to the health and well-being of the whole community. Recognising the importance of the old Chadderton baths and library to Chadderton’s history, Oldham Council and C1O thought it would be a great idea to develop a series of reminiscence workshops to record the memories and stories of a range of local people who use or have used these old buildings. The workshops were a great success, involving around 70 members of the local Chadderton community, recording the reminiscences of members of the Chadderton Local Historical Society, Chadderton Library readers group and local school children from Westwood Primary School and Bare Trees Primary School to capture a range of local people’s experiences for public archive. A photographer was also commissioned to work with the Oldham Council literature development officer and members of the Chadderton Local Historical Society to capture more stories and portraits about the old baths and library. Photos of the old baths and library were taken for local archive and to be exhibited as part of the new centre launch week. 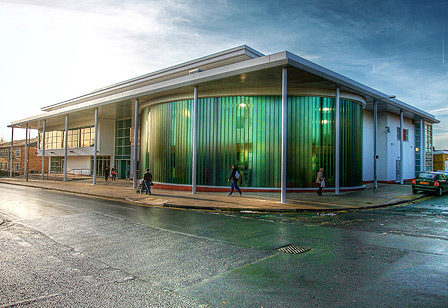 C1O commissioned The Oldham College to set up a series of family workshops in the summer holidays, following the theme of ‘health and wellbeing’ and ‘our community’, which were overseen by college students. From these workshops, a series of images associated with health and community were produced to transfer onto the site hoarding. 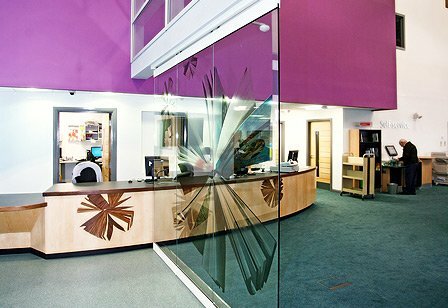 The reception desk shared by leisure and library services is a main focal point within the building and as such offered the perfect opportunity for a more artistic approach to the design. Working with an artist, a series of community workshops were held with various local community groups and staff of the library and leisure centre to get some local ideas and information. Research was then conducted into the Chadderton area and its history to find the right theme for the initial designs. 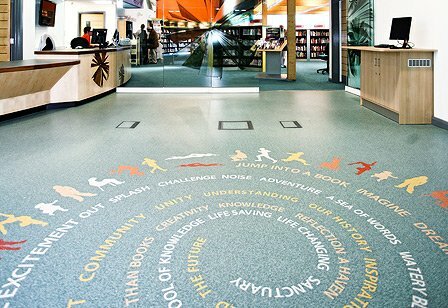 These additional elements are integral to the reception desk design, reception area flooring and glazed door to the library area.